2017 Spring Season Fan Gear is Here! 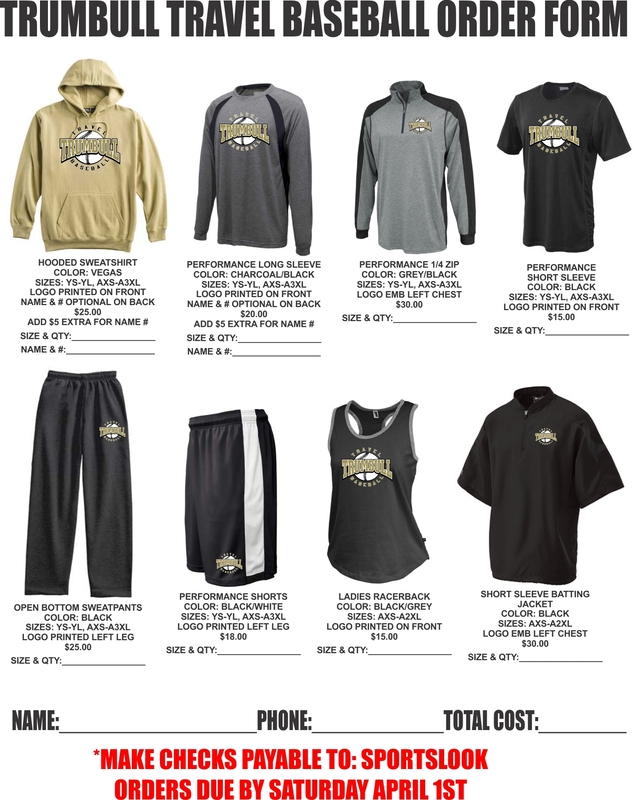 Order forms are due to Steve Christy (SportsLook) by Friday, April 7 (due date extended). Thank you for your support of Trumbull Travel Baseball.